This week our volunteering opportunity is from FareShare. We’re hearing from Emma White, a Warehouse Shift Manager at FareShare in Kent. Find out what they do and how you can make a difference. You can even join them for a volunteer experience day on 19 Feb to see what it’s all about! When you first embarked on life as a student, you may well have wondered exactly where your next meal would come from. Well you wouldn’t be the only one. Half a million children this morning woke up without breakfast even being an option, and nearly one million will go to bed without dinner. A million people on average are accessing food banks in the UK each year, and some of these people have jobs. Jobs that don’t provide enough income to cover basic living needs such as food. Rent and bills are the constant, and as the variable, food is the first to go. 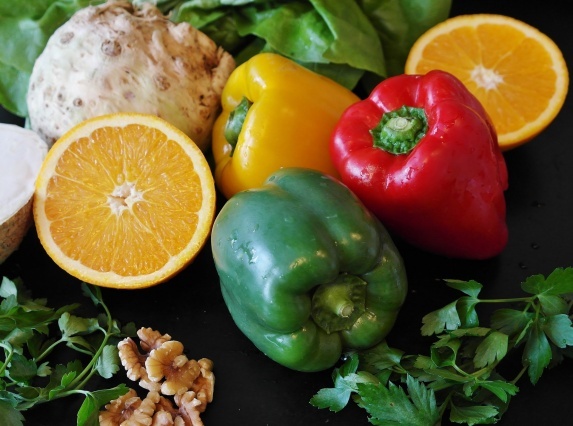 By the year 2030 it is estimated that we will send 2.1 billion tonnes of food to landfill, food that could otherwise feed hungry mouths and lift people out of food poverty. 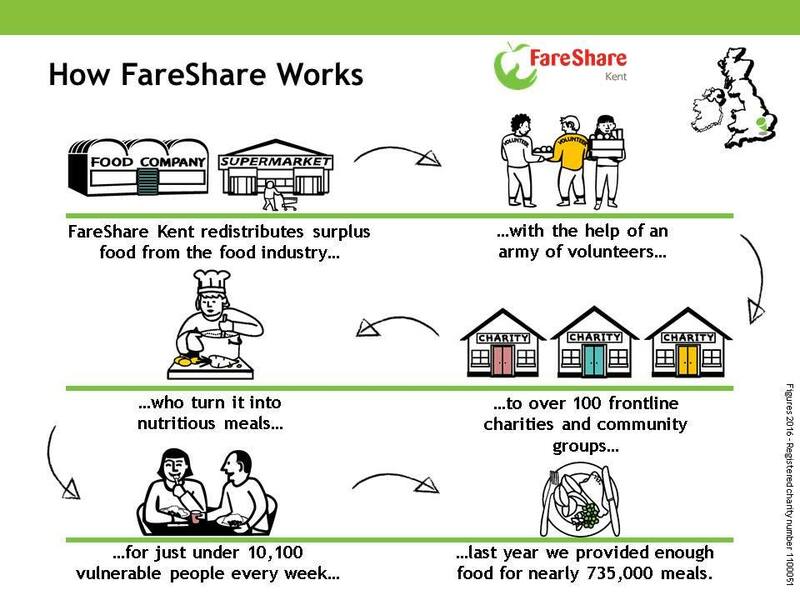 Fareshare Kent in Ashford rescues some of this food and redistributes it to charities who provide wholesome, nutritious meals to those who need it most across the county. Homeless shelters, community cafes, school breakfast clubs and refuges are just some of the charities that we serve, and it is estimated that without this aid, 1 in 5 charities would have to close their doors due to lack of funding and financial hardship. I came to Fareshare Kent as a volunteer three years ago, passionate about the rising problem of food waste and looking to make a difference in the local community and it was such an eye-opener with regards to how comfortable we have become with wasting food. 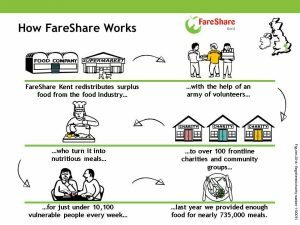 I now work for Fareshare Kent as a Warehouse Shift Manager and we are always looking for willing volunteers to come and experience Fareshare Kent first hand. Experiencing the amount of food we waste face to face is staggering – and playing a part in giving it back to other people can be such a rewarding experience. It could mean as little as offering a couple of hours of your time. To apply for any of these roles, go to Christ Church Volunteering or email volunteer@canterbury.ac.uk to find out more. Donate: We are always happy to accept donations of canned food, cereal, teas and coffees. If you would like to donate, please contact Lucy Woodward to find out your nearest donation spot. Volunteer Experience Day: Join us on Tuesday 19th February, 9-3 at our warehouse in Ashford, for our taste of what it’s like to volunteer here. Limited places available. Email volunteer@canterbury.ac.uk to find out more. Grab a bite: Why not visit one of the projects we support in Canterbury, please pop in for a cuppa or bite to eat at Lily’s Bistro, 15 Palace Street, Canterbury CT1 2DZ. Zoe would be delighted to see you and chat to you about what we do and in turn what she does with waste food.